This is the page for the Killingworth Vol. Fire Co. 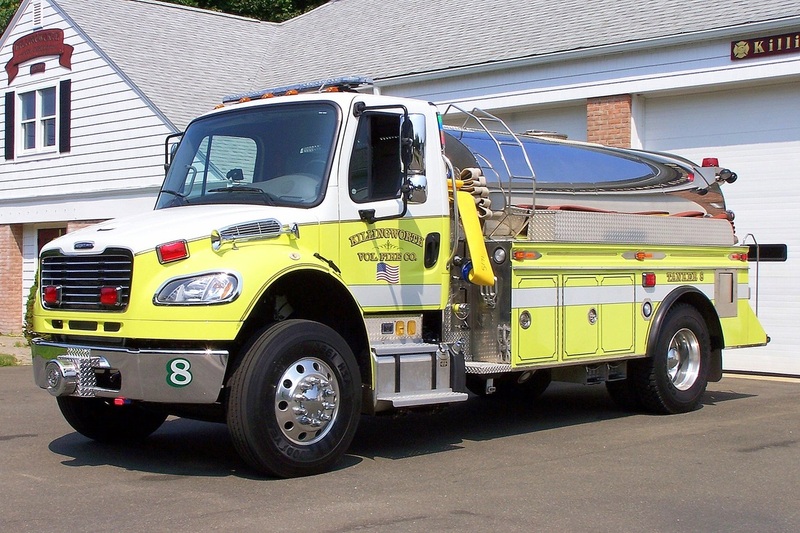 They have 3 engines, 2 tanker trucks, 2 brush/light rescue trucks, 1 rescue truck, and 2 stations. 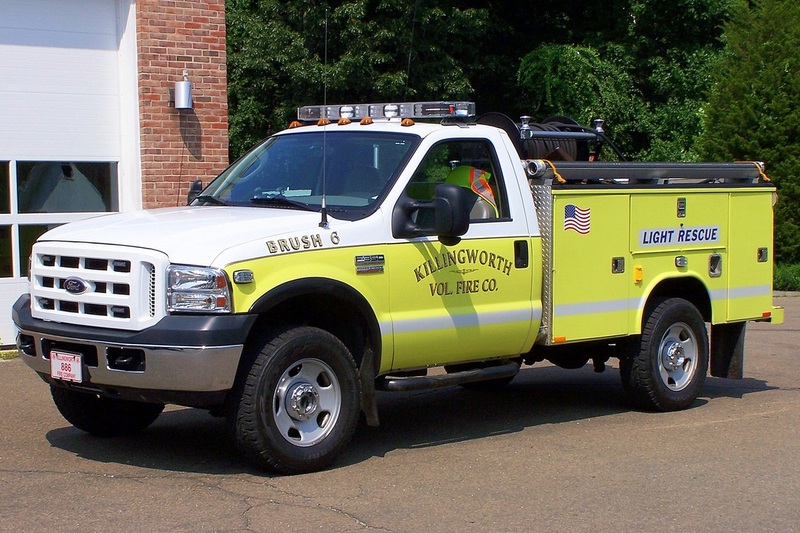 Killingworth's Brush 8-8-6, a 2006 Ford F-350/Reading Utility brush truck. 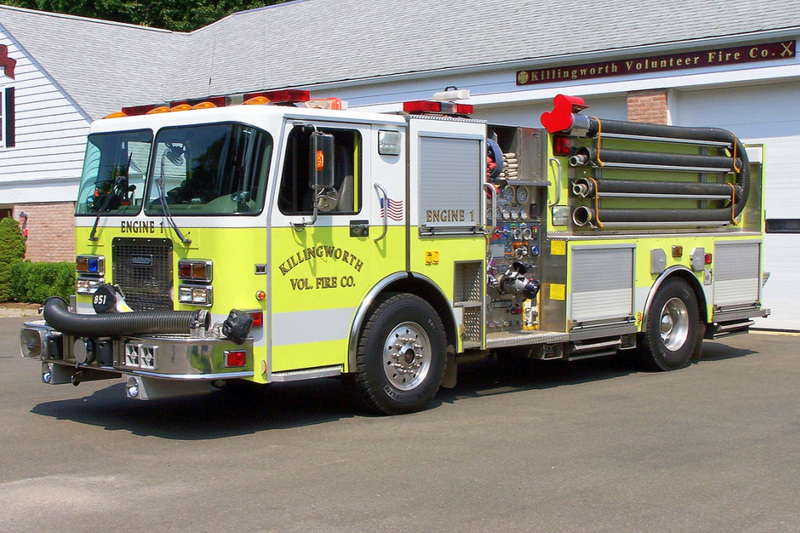 Killingworth's Engine 8-5-1, a 2000 Spartan/Saulsbury engine. 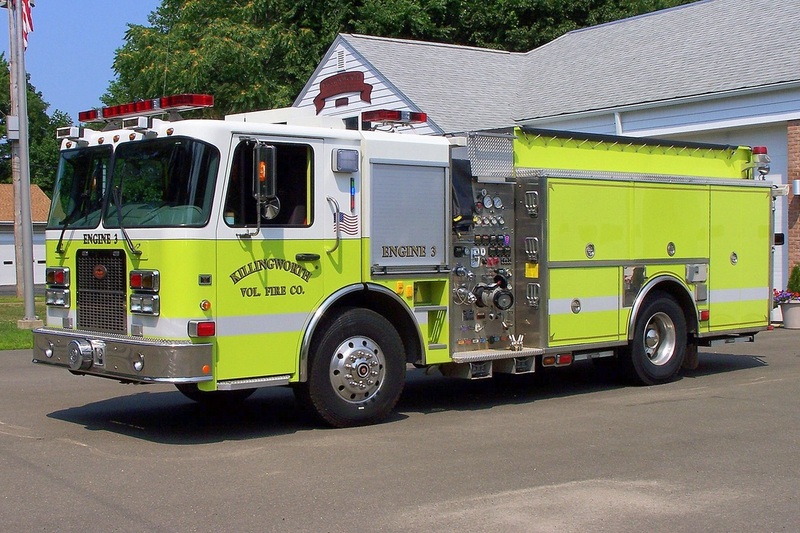 Killingworth's Engine 8-5-3, a 2008 Spartan/KME engine. 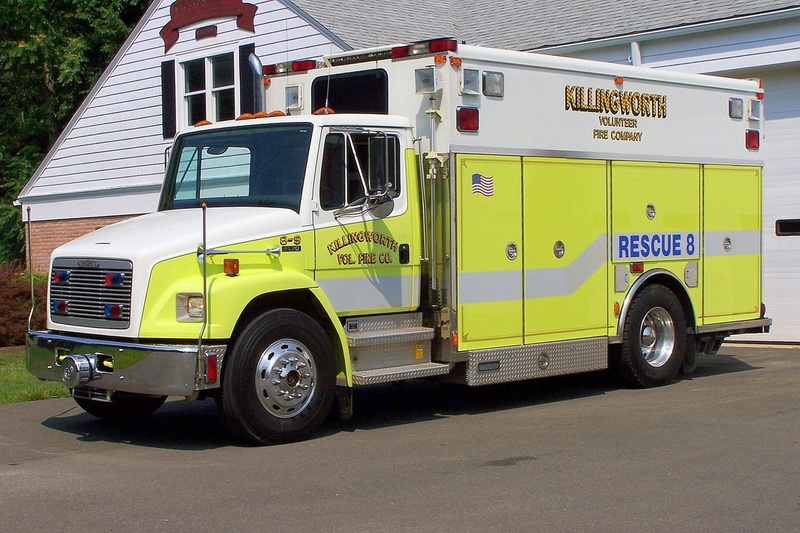 Killingworth's Rescue 8-9, a 1994 Freightliner FL70/Saulsbury rescue truck. 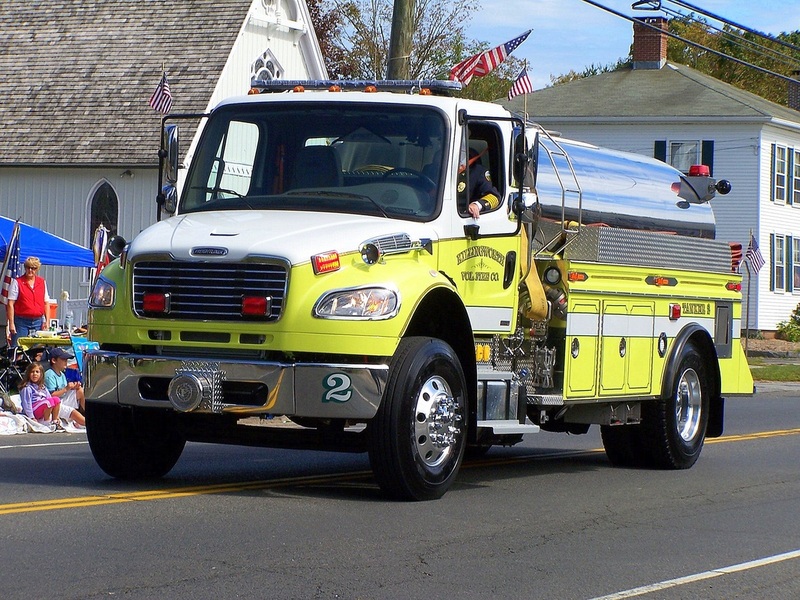 Killingworth's Tanker 8-6-2, a 2012 Freightliner with a body from a 1982 Ford C/S&S. 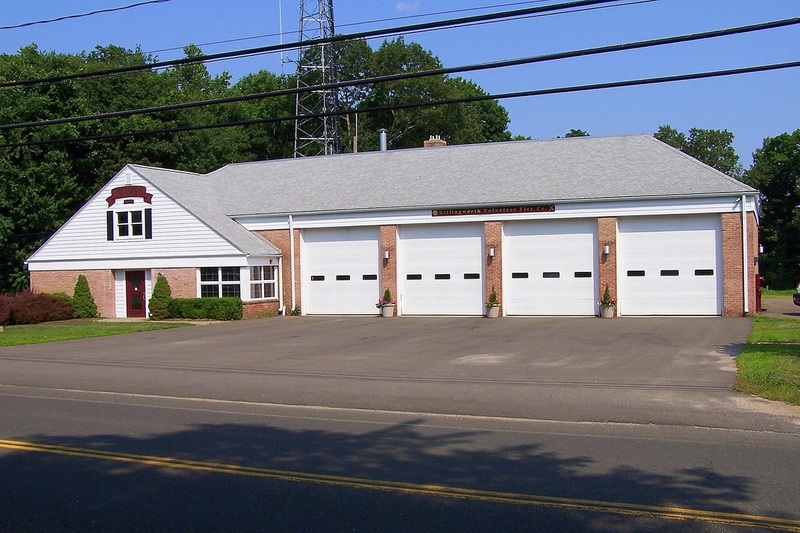 Killingworth's Station 1, located at 290 Higganum Road (CT Route 81) in Killingworth, CT. Stationed here are Brush 8-6-6, Engine 8-5-1, Engine 8-5-3, Rescue 8-9, and Tanker 8-6-8.